I really liked Quarantine so I searched for the original movie that it was based on. The remake sure looked like a shot-by-shot of this film and I didn’t have any problems with it. It was fun watching all the zombies terrorize the tenants in an infected building. Several scenes really made me jump out of my seat and sent chills down my spine. Definitely my type of horror movie. Just like any “found footage” movie, the biggest concern is why these people still find time to grab the camera and film everything instead of running for their dear lives. And just like any haunted house movie, you begin to question why they don’t leave when footsteps start appearing on the powdered floors. If you get past those and willingly suspend your disbelief, you’ll actually enjoy this chilling flick that shows little but provides maximum scares. Similar to The Blair Witch Project, the horror resides in your brain and you scare yourself silly just by looking at a scene involving a dark room and hallway. When the actual “thing” manifests itself, prepare to scream your lungs out. I remembered a lot of Richard Matheson fans asking for the head of the director when this movie was originally shown. The common concern was that the reason for the title was completely lost in the commercialized adaptation. I never got to read the novel so I simply enjoyed the movie for what it was: a thrilling end-of-days popcorn flick. And boy, did I enjoy it a lot. 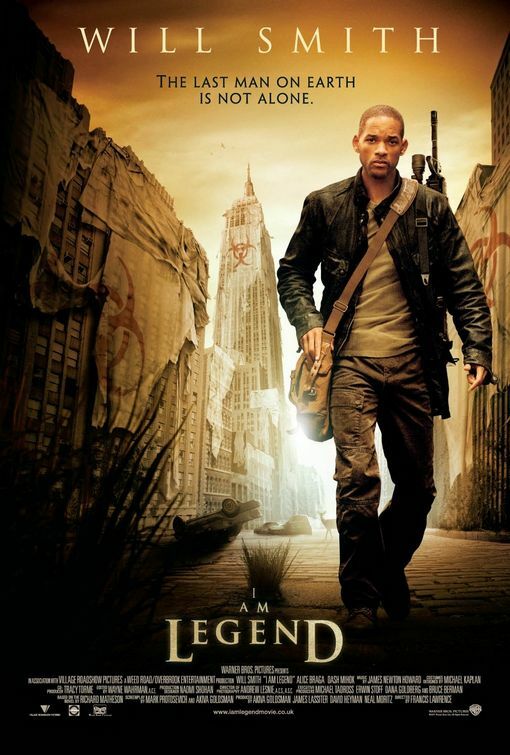 Will Smith further cemented his claim as the go-to box office action star and carried the movie through pure charisma. Who else can make you cry over a rabid dog? I had seen this movie one too many times and it never failed to make my heart pound (and break) every time.